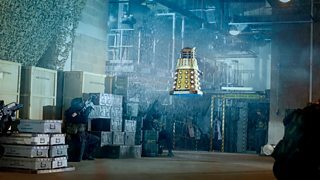 BBC One - Doctor Who, Season 1, The Daleks, The Dead Planet, Celebrating Half a Century of the Daleks… - And the ‘new’ Daleks could fly! And the ‘new’ Daleks could fly! 1/7 The travellers venture explore a new world. Everything seems to be dead, but is it really?